We’d love your help. 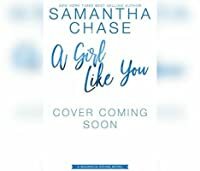 Let us know what’s wrong with this preview of A Girl Like You by Samantha Chase. Sam Westbrook has always been the family hell-raiser, but as an adult he's enjoyed not being under the constant watchful eye of his family. That was until his great-grandfather passed away. Forced to move to the small coastal town of Magnolia Sound, Sam can't escape the reputation that has followed him since his teenage years. But he'll have to do it to get his inheritance Sam Westbrook has always been the family hell-raiser, but as an adult he's enjoyed not being under the constant watchful eye of his family. That was until his great-grandfather passed away. Forced to move to the small coastal town of Magnolia Sound, Sam can't escape the reputation that has followed him since his teenage years. But he'll have to do it to get his inheritance. Shelby Abbott was always the good girl – it's what happens when you're the pastor's daughter in a small town. Now, she's ready to leave that image behind. For years she's heard about wild Sam Westbrook, but she never though she would be the one to catch his eye. And being the center of Sam's attention ins't something Shelby ever prepared for. 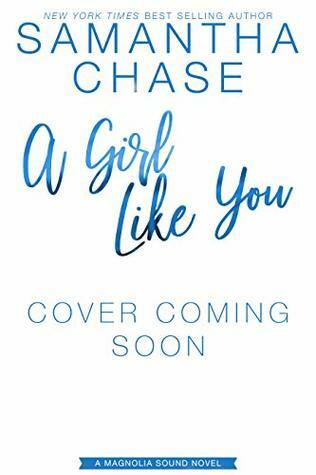 Expected publication: June 11th 2019 by Chasing Romance, Inc.
To ask other readers questions about A Girl Like You, please sign up.